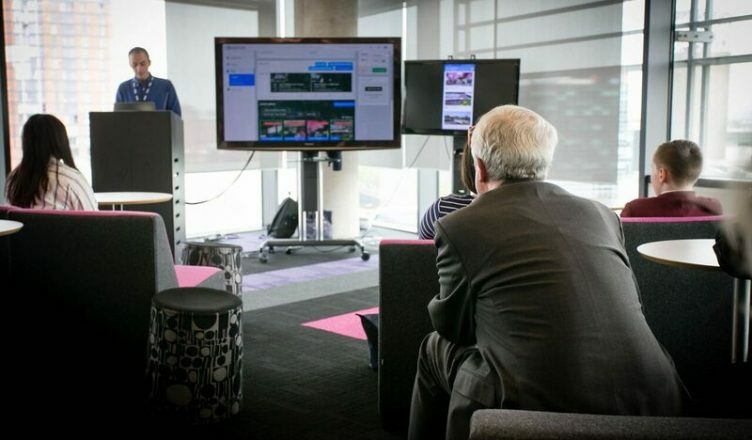 COGNITUS was presented during the micro:bit CLIMB event in Quay House, MediaCityUK, Salford on Friday 18th of May. The micro:bit CLIMB project has seen the BBC teaming up with Computer Science and Engineering undergraduates to design and deliver coding lessons to 12-13 year olds in schools across the UK using the BBC micro:bit, with the goal of producing BBC-themed projects inspired by Doctor Who and BBC Springwatch. The event was attended by several young people from various schools across UK together with their mentors in the first years of their university degrees. Some PhD students also took part in the event as coordinators and mentors. During the event, the young people and undergraduates presented the work they carried out as part of this project. COGNITUS was presented as well to the attendees. Three demos were carried out during the course of the day-long event, where the main functionalities of the COGNITUS project were showcased. The COGNITUS Android app was used to capture activities happening during the event. The processing and enhancement steps were then presented as well as the producer interface designed for media professionals to edit the enhanced user-generated videos in to final programs. Highlights from the Edinburgh Festival trials where COGNITUS was tested in 2017 were also showed to the attendees. 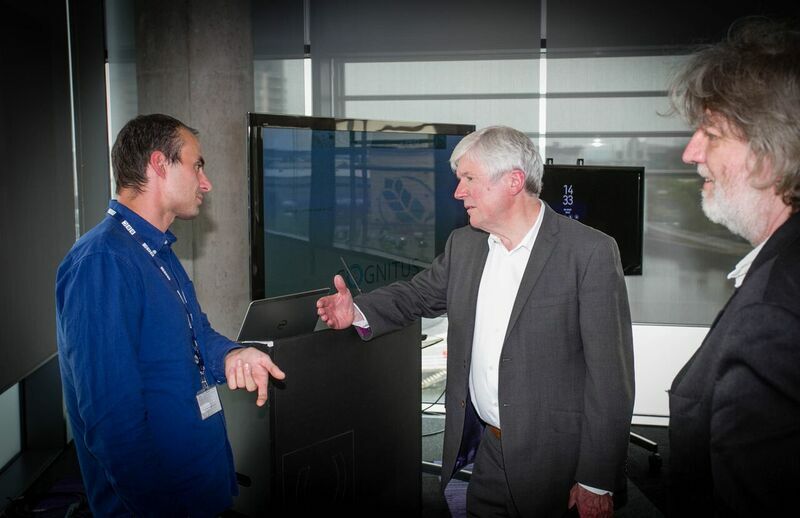 The Director-General of the BBC also attended one of the demo sessions. The presentation was very successful and attracted a lot of attention from the attendees. Especially undergraduates and PhD students were enthusiastic about the project and asked many interesting questions, highlighting the potential of the COGNITUS ecosystem within the wider BBC.